It’s tough to express any true reflections on a year that just started, so instead, here is my first reflection shot from 2015. Looks like it could be a good year. It’s easy to ignore Coots in SE Texas as they are very abundant and can be somewhat boring but in the right light with a good background, they can stand out with the best of them. Had to expose for the white beak so no positive exposure compensation on this one. Taken at Anahuac NWR in Texas. This entry was posted on January 5, 2015 by Tim Timmis. It was filed under Birds and was tagged with Anahuac NWR, Canon 1.4x III, Canon 1DX, Canon 500mm F4 IS II, Coot. Nice colors and reflection. Like how the red eye really stands out. Thanks David. 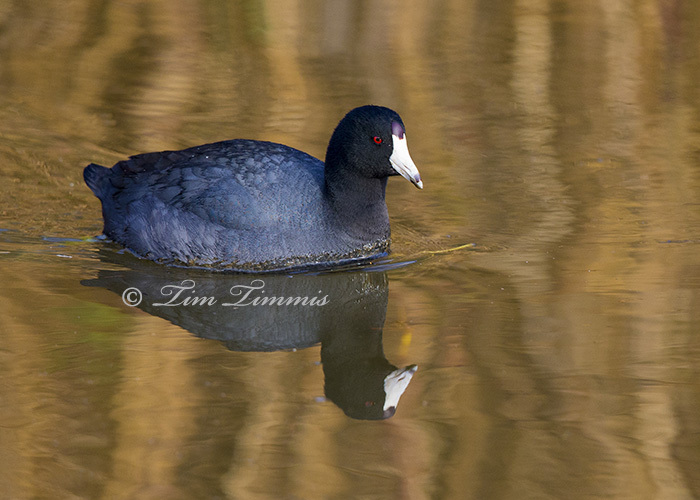 Coots can be very photogenic in the right conditions.